The creator of the Teletubbies addon and many other game addons decided to please the players before Christmas by introducing The Grinch Addon. It will be most welcome because only a few days are left before Christmas, but the Christmas atmosphere in the original Minecraft PE is far from desired. 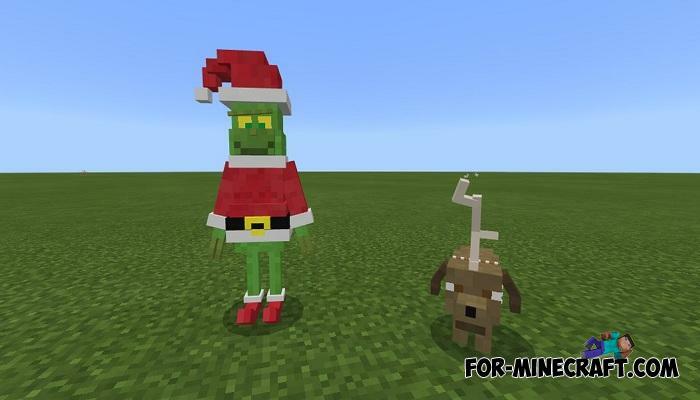 Add two different versions of the Grinch and a loyal friend Max, and then go looking for them. Wandering through the snow-covered plains you can stumble upon one of the Grinchas (evil or peaceful) and also see his dog Max. What is Christmas without gifts? The Grinch Addon generates multi-colored gifts, you need to open them to get something. 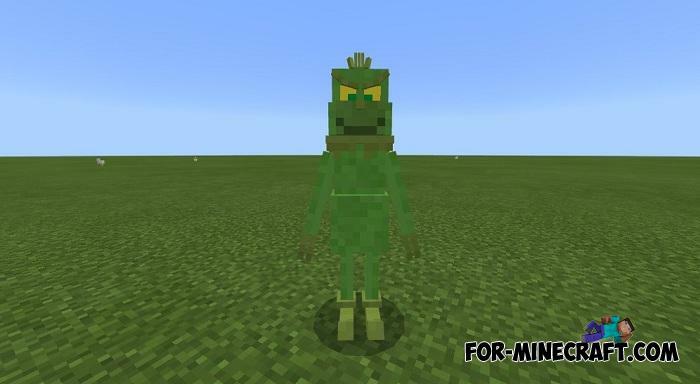 How to install the The Grinch Addon? Teletubbies addon for Minecraft 1.8+The development of the Teletubbies addon continues and this is the second version of the great addon..